I first visited The Shed at Glenwood after it had been open a couple of months. I didn’t enjoy it at all. However, as time went by, my friends kept urging me to give it another shot, insisting it had improved. My friend, Beth, who is The Shed’s biggest fan kept inviting me to go for brunch. After a while, being the total brunch fiend that I am, I relented and went along with a pocket full of reservations. It ended up being the first of many brunch visits to follow. 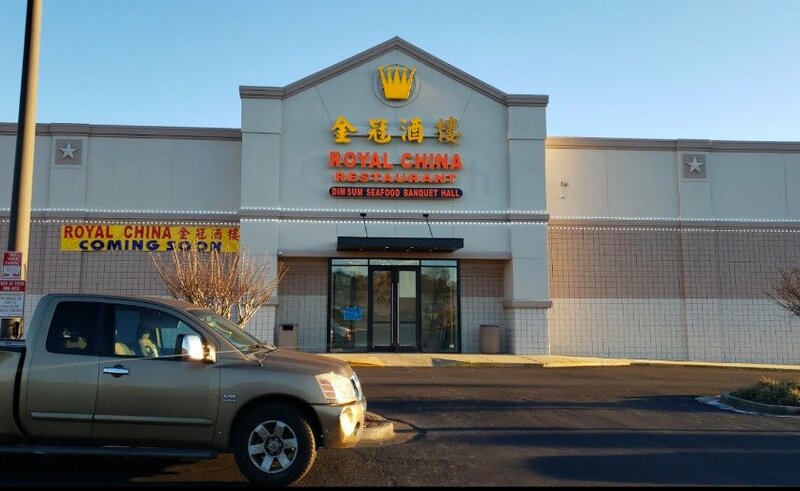 My first took place on the morning after Halloween where I was shocked to find the restaurant PACKED. Even more shocking? The steady stream of fresh, quality food coming out of the kitchen to stock the buffet line. I mean, how often are buffets so good it makes you want to come back for more? My next visits were for brunch on non-buffet days and everything was top-shelf again. 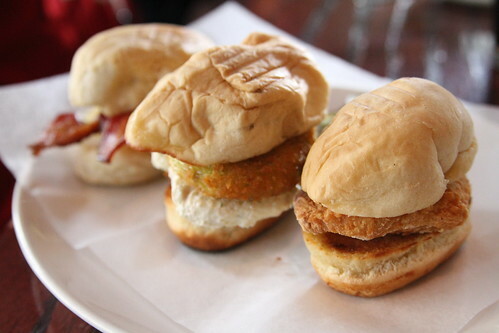 Junior got this trio of sliders. 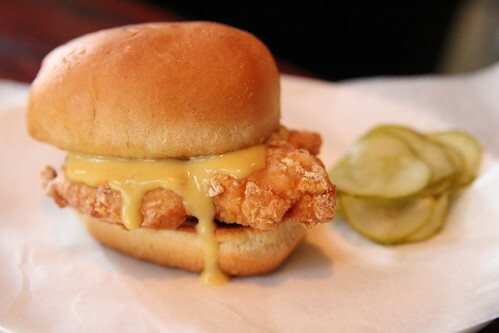 A close-up of the fried chicken slider with honey mustard sauce. 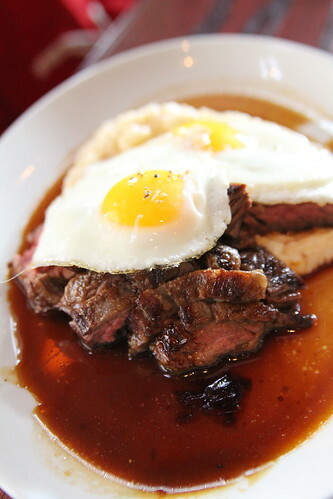 Moon’s steak and eggs with grits. 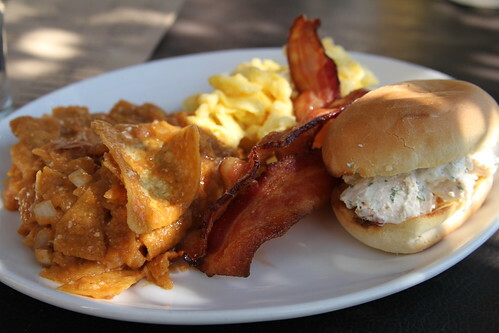 Verdict: A great brunch destination that Atlanta deserves. Exceptional service, a talented pastry chef, and a nice assortment of brunch standards no matter what you are craving. Don’t forget to get one of the bottomless mimosas, which are a steal at $9. Hi Bliss- love your blog and have discovered many excellent dining spots thanks to you. I am a huge fan of the Shed and just wanted to urge you to give it another try for dinner as well. Thursday nights are “Harvest Nights”- a plate of delicious veggies for $10. (Mac n cheese counts as a veggie, right? 🙂 And their burger, while not in the 2-patty, H&F- or Bocado-style, is terrific and definitely worth a try.